Works have started at Rushley Avenue, Sheffield, with a prompt start on site. The ground floor conservatory has been removed, and brickwork already up to DPC, and the main structural posts in place. More photos to follow over the coming weeks as the builders are planning to have the works completed in around 2 months. Work at Ashover Road continue to progress, with the blockwork forming the shell of the extension works nearing completion, and the installation of the roof now taking place. Internally the structural alterations are now complete, and the new first floor structure has been installed to the extension, ready for the new internal walls to form the new bedrooms. Works at Parkhead road are will shortly be coming to an end. All the internal remodelling & modernisation has been completed, the extension and new glazing in place. The finishing touches, rendering the extension walls, installing the kitchen & decorating will take place over the next couple of weeks ready for the client handover. Work has begun at Ashover Road, Chesterfield to transform this house into a modern home. 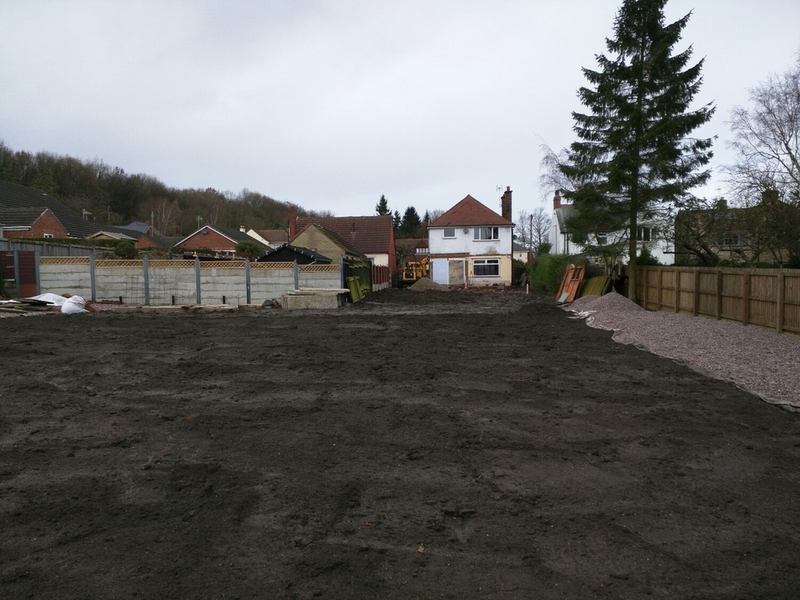 The existing extension, garage & outbuildings have been removed and ground levels reduced, ready for the foundation dig. Internally the first structural alterations are taking place, with walls being removed and new steelwork introduced. Welcome to our blog / news. Here we will post updated about our practice and industry news.